The Mercedes-Benz SL 320 is a two-door roadster and on its release in 1989 was a car ahead of its time, featuring as standard, an electro-hydraulic convertible roof. Other innovative luxuries also came as standard, including electrically operated windows, mirrors and seats. 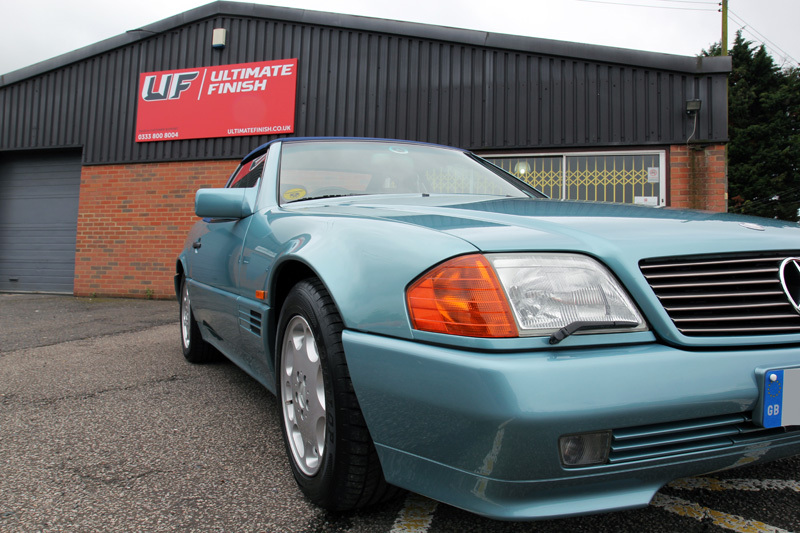 This 1993 SL 320 was brought into UF’s Brands Hatch based Detailing Studio for a Gloss Enhancement Treatment to restore the Beryl Metallic paintwork and to repair some stone chips. In addition, an Engine Treatment, ClearVision Glass Treatment, Alloy Wheel Protection and Soft Top Treatment were also specified. The number plates were removed to allow better access for cleaning. The SL 320 was then treated for iron contamination using Gtechniq W6 Iron & General Fallout Remover. The active ingredient reacts with ferrous contamination, shrinking the particles and breaking their bond with the underlying substrate. These can then be rinsed easily and safely away. 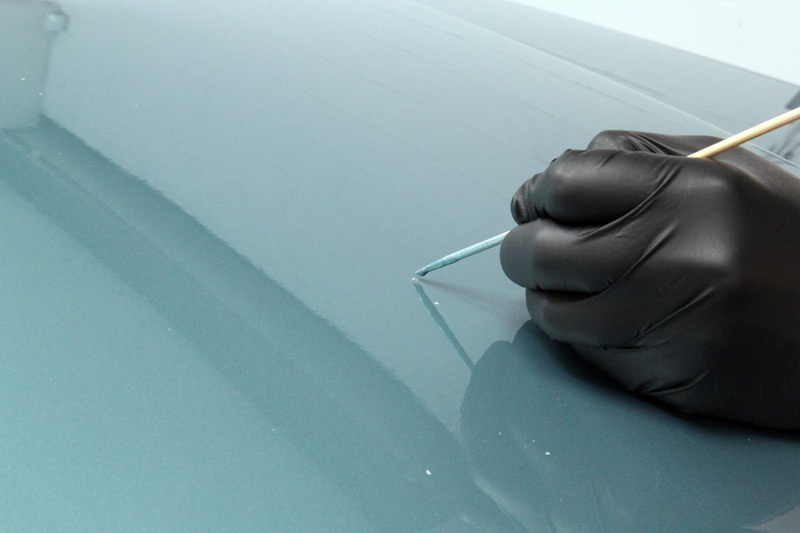 Next, the car was treated for adhesives such as tar and squashed bug remains using Auto Finesse Oblitarate. The engine bay was degreased using Bilt-Hamber Surfex HD in a Kwazar Orion Super Pro+ Pump-Up 6 Litre Sprayer. The bodywork of the SL 320 was also degreased. 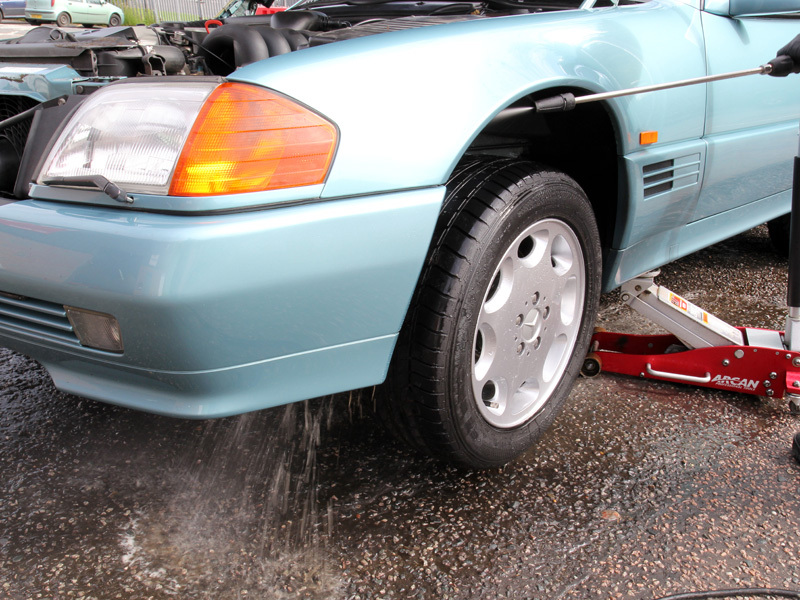 The car was jacked up under each corner, in turn, allowing for more clearance between the wheel and the undercarriage so the wheel arches could also be thoroughly cleaned. The SL 320 was pre-cleaned using Ultimate Snow Foam in conjunction with a Kranzle K 1152 TST Pressure Washer and a Kranzle-adapted foam lance. 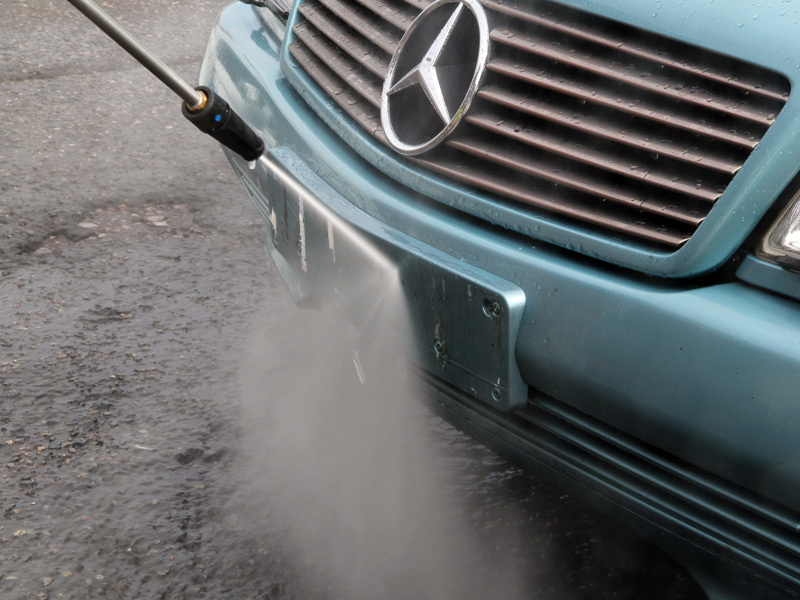 The thick foam lifts larger particles of dirt and grit away from the surface of the vehicle, allowing them to be freely rinsed away without contact. A second application of snow foam was applied and used as a lubricant for a clay mitt, removing any remaining nodular contamination. The wheels were washed using a UF Wheel Bucket with Grit Guard and a selection of UF Wheel Woolies. The long, non-scratch handles let the brushes pass through the tight openings in the wheel face allowing for cleaning right through to the rear of the rim. The fabric hood was washed using Renovo Fabric Soft Top Cleaner and a Wheel Woolies Natural Horse Hair Brush to loosen and lift dirt out of the fibres. 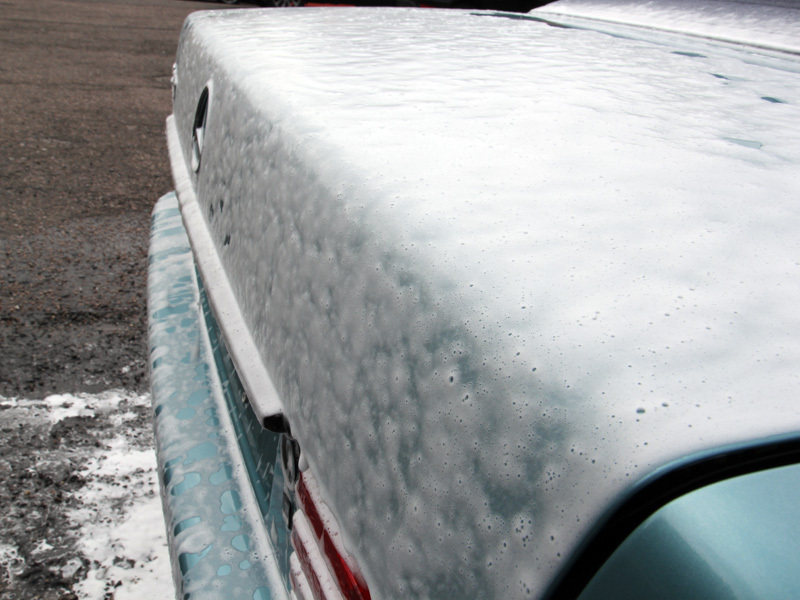 The hood was then thoroughly rinsed to ensure all remaining suds were completely removed, as trapping cleaning product within the fibres can encourage mildew formation. After rinsing, it was clear that there was little or no hydrophobic protection on the roof as rather than being repelled from the surface the water had completely soaked into the fibres. 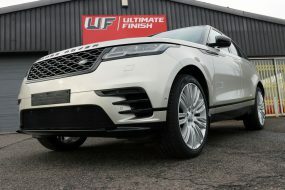 The bodywork and wheels were rinsed and the car was given a full wash using the Two Bucket Method, a UF Ulti-Mitt Double Sided Merino Wash Mitt and Gtechniq G-Wash Shampoo. 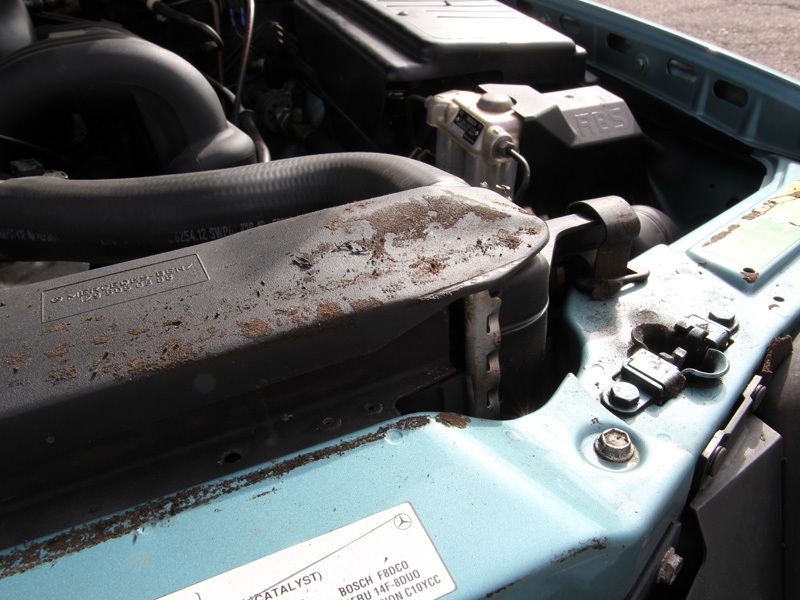 The car was once again rinsed, removing all the suds before an Aqua Gleam De-Ionising Water Filter was attached in-line with the hose to give a final, pure water rinse. 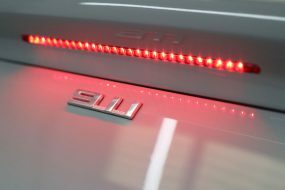 The SL 320 was dried with UF Ultra-Soft Microfibre Drying Towels and brought into the studio for visual inspection under high-intensity lighting. 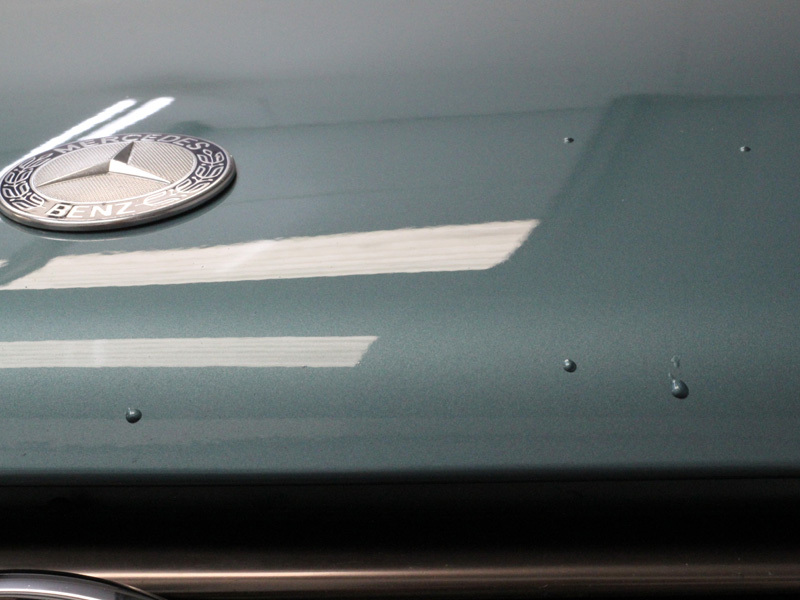 The next step was to correct and refining the paintwork using a two stage machine polishing process. To address the ‘sticky’ paint issue, a combination of PolishAngel Master Compound and Koch-Chemie H8.02 was used on a Kamikaze Collection Banzai Dynamics Red Polishing Pad. The SL 320 has many contours and a large grille area, all of which can be tricky for machine polishers with a larger throw. As a result, a combination of the RUPES BigFoot LHR 12E Duetto, RUPES LHR 75E Mini and the RUPES Nano iBrid were used. The Nano iBrid can be used either with a rotary or orbital action, so the friction build-up can be adjusted to suit each job. The cutting process required around eight hours to achieve the required level of finish. 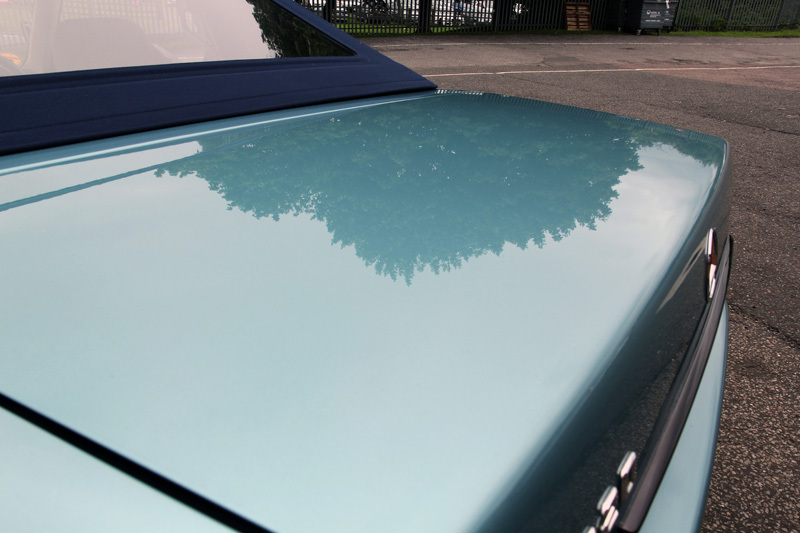 Then to refine the paintwork and burnish it to a high shine, a FLEX PE14-2 Rotary was used with a combination of SCHOLL Concepts S40 on a SOFTouch Ultra-Fine Finishing pad. 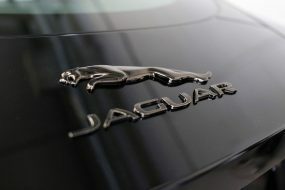 After machine polishing the stone chips on the front of the car were addressed. 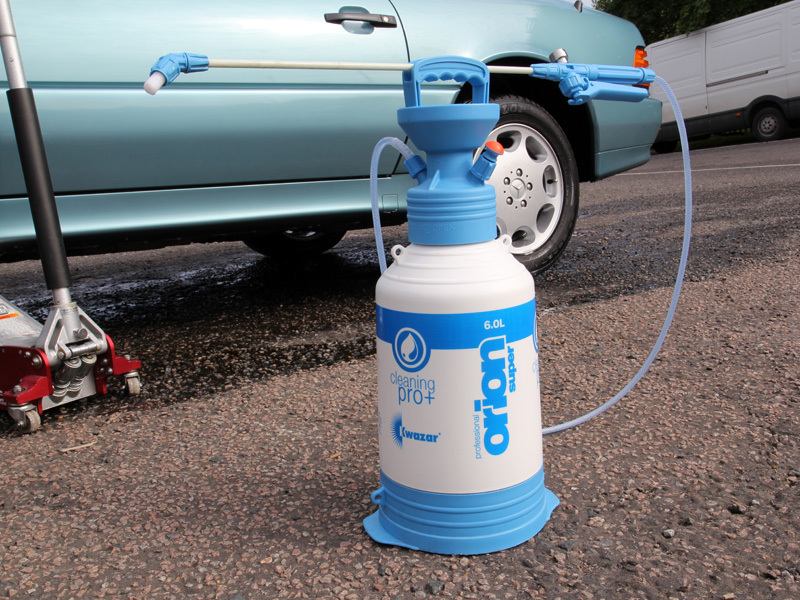 ChipEx paint chip repair system uses the colour code from the manufacturer to match precisely the paint for the car. This ensures the best possible solution for stone chips. 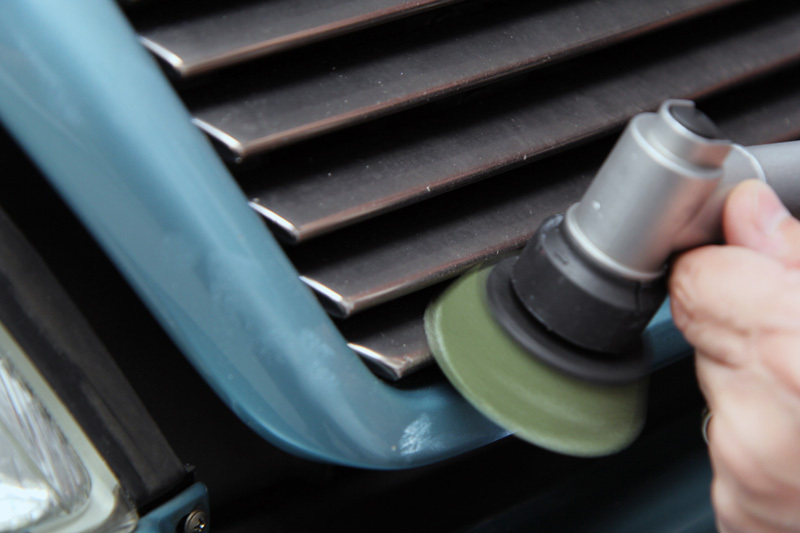 The area is cleaned first with an astringent solution before the touch-up paint is dabbed thickly into the gouge using a specially shaped applicator. This fills in the hole left by the stone. 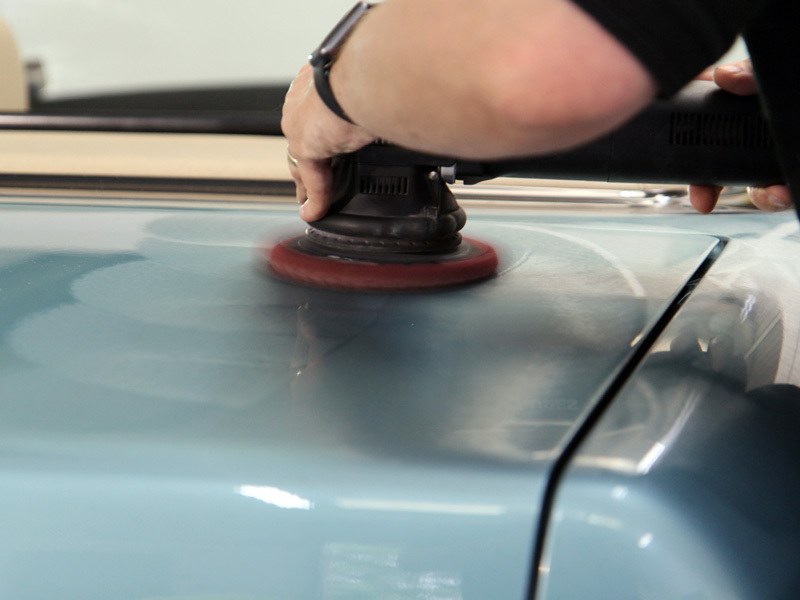 After allowing the paint to cure for a few minutes, the areas are treated with a small amount of ChipEx Blending Solution to remove any excess, then each blemish was hand polished with ChipEx refining polish and carefully buffed off to ensure a smooth finish. Finally, the paintwork was cleansed using Gtechniq Panel Wipe to ensure all polishing residues were removed, leaving the surface ready for a layer of Gtechniq Crystal Serum. 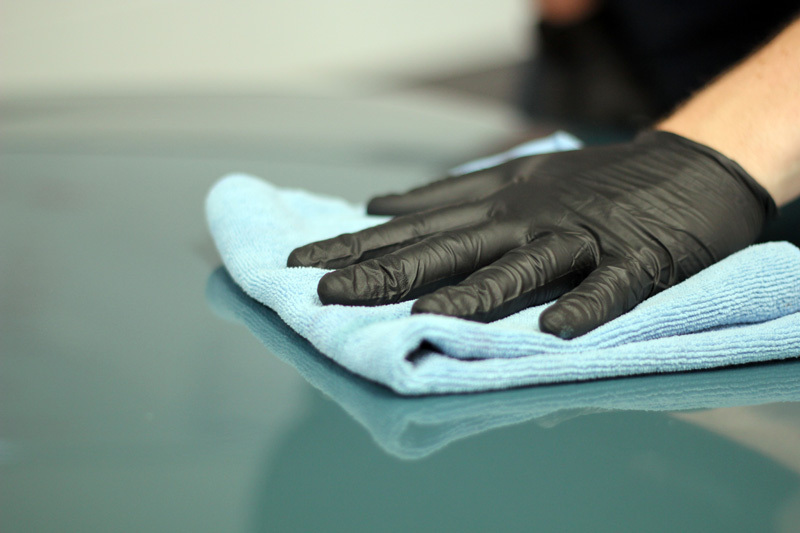 After allowing the sealant to cure for around three hours, a layer of Gtechniq EXO v2 was applied over the top of the initial layer of Crystal Serum (CS Black). This highly effective combination further enhances the hydrophobic protection, increases water beading and helps keep the car cleaner for longer. The glass was cleaned and then sealed using Gtechniq G1 ClearVision Smart Glass. 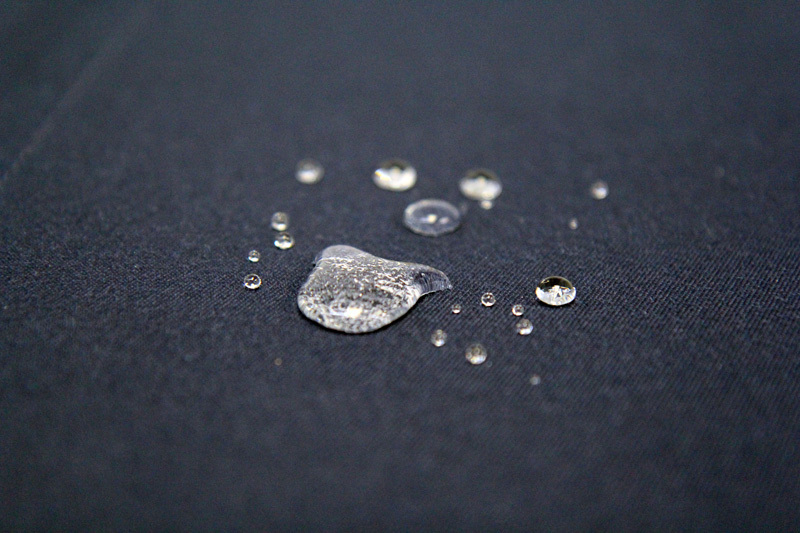 This nanotechnology based sealant repels rainwater, causing it to roll into beads on contact with the treated surface and allowing it to be easily blown away even whilst driving at relatively low speeds. 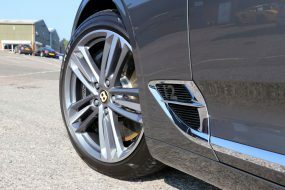 The wheels were coated with Gtechniq C5 Alloy Wheel Armour, a heat resistant nano-ceramic coating which will not burn off when the wheels become hot during use. Brake dust is repelled, as is water, dirt, salts and road grime. 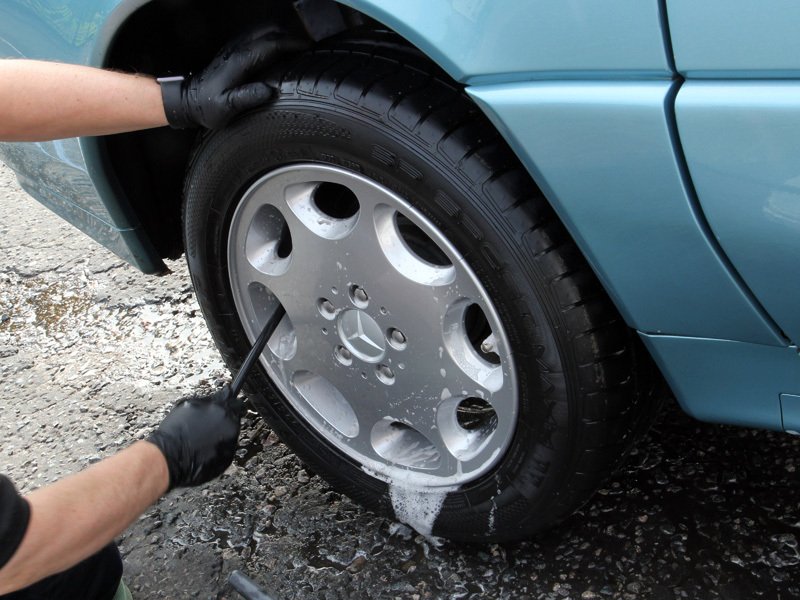 This makes keeping the wheel clean much easier and negates the requirement for harsh wheel wash chemicals. 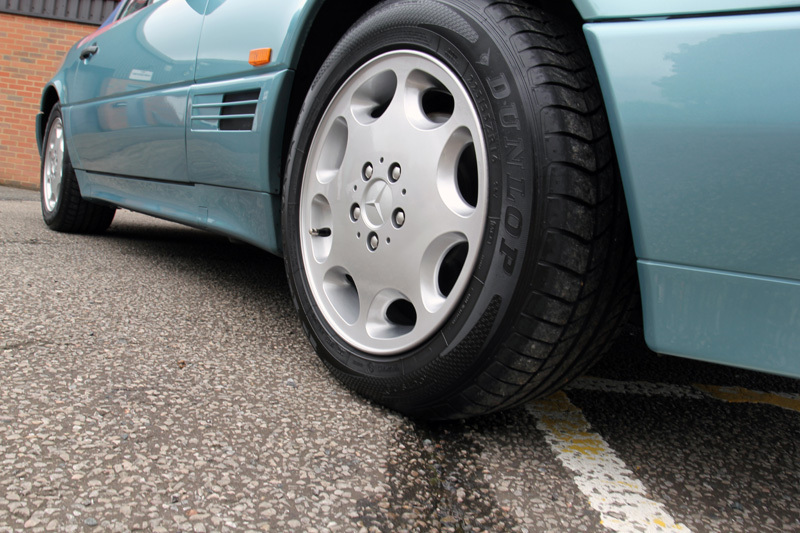 The tyres were dressed using Gtechniq T2 Tyre Dressing for a natural satin appearance. 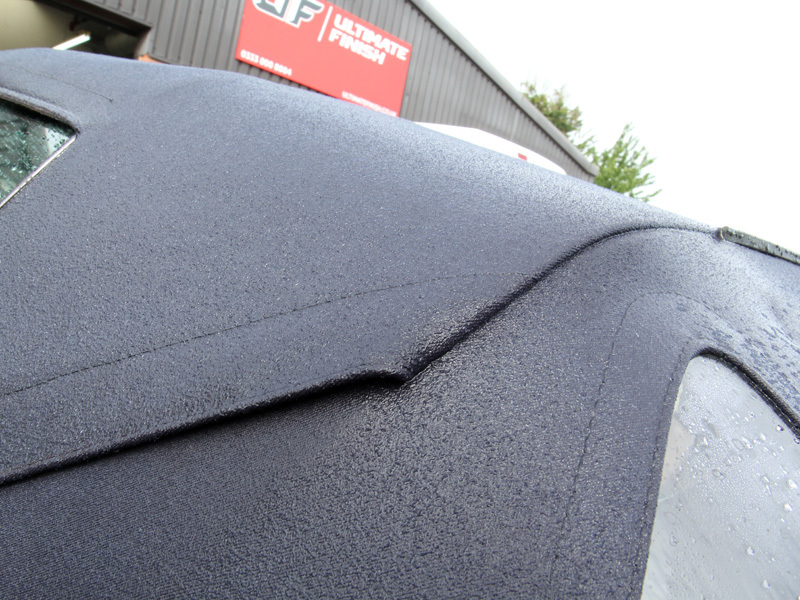 The SL 320 was then masked with a protective film and the convertible roof treated with Gtechniq I1 Smart Fabric Coat to re-weatherproof the fabric. 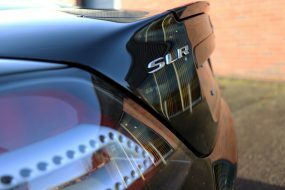 Fully gloss enhanced and now protected, the SL 320 was ready for collection, truly a stunning example of its generation.